HARARE, Jan 30 2015 (IPS) - For 47-year-old Albert Mangwendere from Mutoko, a district 143 kilometres east of Harare, the Zimbabwean capital, transporting his three pregnant wives using a wheelbarrow to a local clinic has become routine, with his wives delivering babies one after the other. But these routines have not always been a source of joy for Mangwendere. “Over the past twenty years, I have been ferrying my pregnant wives to a local clinic using a wheelbarrow because I have no (full size) scotch cart and we have lost 12 babies in total while traveling to the clinic,” Mangwendere told IPS. 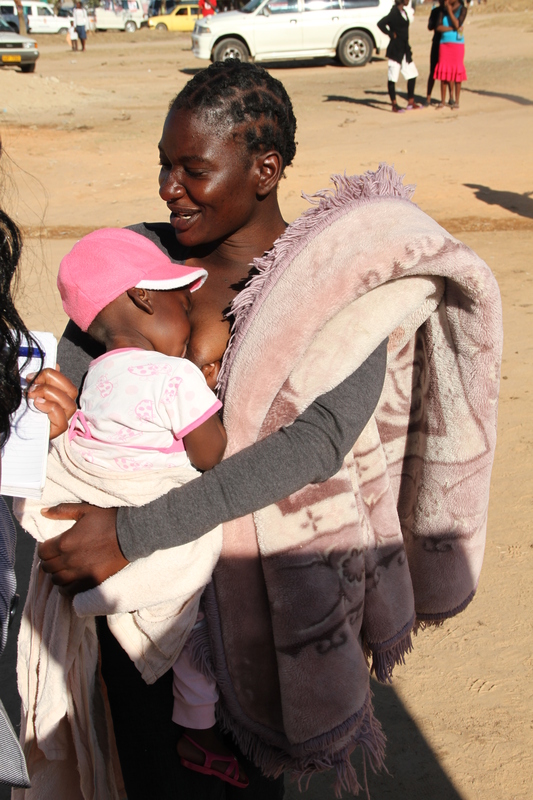 Mangwendere’s case typifies the deepening maternity crisis in this Southern African nation. An estimated 3,000 women die every year in Zimbabwe during childbirth and at least 1.23 percent of gross domestic product (GDP) is lost annually due to maternal complications, according to Maternal Mortality in Zimbabwe, a United Nations issue paper released in 2013. In fact, the United Nations found that maternal mortality worsened by 28 percent between 1990 and 2010. The major causes were bacterial infection, uterine rupture (scar from a previous caesarean section tearing during an attempt at birth), renal and cardiac failure, as well as hyperemesis gravidarum (condition characterised by severe nausea, vomiting and weight loss during pregnancy). On top of a barely adequate public transportation system, user fees for delivering pregnant women that are charged in healthcare centres are also at fault, say civil society activists. “In 2012, the government crafted and adopted a policy that saw user fees for maternity services being scrapped,” Catherine Mukwapati, director of the Youth Dialogue Action Network, a grassroots organisation, told IPS. Zimbabwe’s local authority clinics say they have resisted scrapping maternity fees despite the official directive, claiming that they are not reimbursed as promised by the government. “Council clinics have no choice but to charge the council-subsidised 25 dollars for maternity since they haven’t received money from government,” Harare city director of health services, Stanley Mungofa, told IPS. The actual cost of providing maternity services in council clinics has been pegged at 152 dollars, Mungofa said. At public hospitals like Parirenyatwa in Harare, the cost of a normal delivery is 150 dollars while a caesarean section costs as much as 450 dollars. In a bid to lower the high maternity fees of public hospitals and council clinics, a group of donors pledged 435 million dollars for the nation’s health system for the period 2011-2015. The fund – the so-called Health Transition Fund – was led by the health ministry and managed by the U.N. Children’s Fund (UNICEF). Importantly, the Health Transition Fund is helping to retain skilled workers by raising low wages. Underpaid doctors make up a large part of the country’s “brain drain” and there are now just 1.6 doctors for every 10,000 people. Maternal fees may not apply in Zimbabwe’s countryside, where many like Mangwendere and his wives live, but other obstacles present an equally insurmountable barrier to obtaining care. Clinics and referral hospitals are often far away from people needing help, a major cause of maternity deaths there. Finally, the tentacles of systemic corruption have reached into the health care systems. According to Transparency International, one local hospital was found to be charging mothers-to-be five dollars every time they screamed while giving birth. A staggering 62 percent of Zimbabweans reported having paid a bribe in the previous year, the group stated in its 2013 report on global corruption. 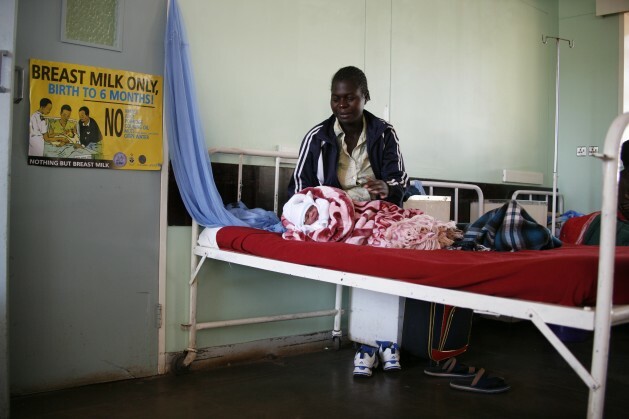 Zimbabwe’s health sector was one of the best in sub-Saharan Africa in the 1980s, but it nearly collapsed when an economic crisis caused hyper-inflation of more than 230 million percent in 2008. Over the following years, chronic under-investment made a bad situation worse. The increase in maternal mortality is being witnessed despite the U.N. Millennium Development Goal (MDG) for maternal health, under which countries should reduce the maternal mortality ratio by three-quarters between 1990 and 2015. A 2012 status report on the MDGs asserted that Zimbabwe was unlikely to meet its mandate of reducing the maternal mortality ratio to 174 per 100,000 live births. In research conducted in 2013 to address causes of maternal death, Zimbabwe’s Ministry of Health and Child Care blamed excessive bleeding after childbirth and unsafe abortion as the major causes of death, although no information was provided to back the claim. “Statistics on maternal deaths often leave out sad realities of these similar deaths in unreachable remote areas where pregnant women and infants die daily without these cases being recorded anywhere,” said Helen Watungwa, a midwife at a council clinic in Gweru, the capital of the Midlands province, 222 kilometres outside the capital. “But in any case, with the limited resources we have as nurses, we are doing all we can to save lives both of delivering mothers and infants,” Watungwa told IPS. “It is truly a miracle that we continue to survive a series of pregnancies while battling to give birth often on the way to the clinic, bleeding heavily without any skilled persons to attend to us, with only our husband tottering with each one of us to the village healthcare centre using a wheelbarrow,” 28-year-old Mavis Handa, one of Mangwendere’s wives, told IPS.